"It is certainly one of the most fascinating places I have ever seen: my work fits perfectly into this land immersed in greenery and this classic and refined atmosphere". 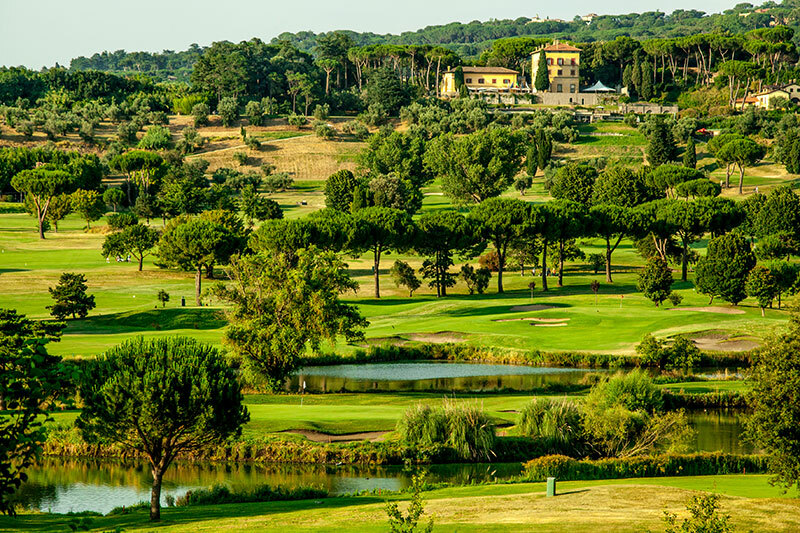 These were the words of Robert Trent Jones, untouched by modesty but right on target, on seeing the stupendous scenery around the Golf Club Castelgandolfo: a wide natural basin with olive trees, oaks and cluster pines stretching across the Roman countryside. The characteristics of the resulting landscape are not easy to forget. 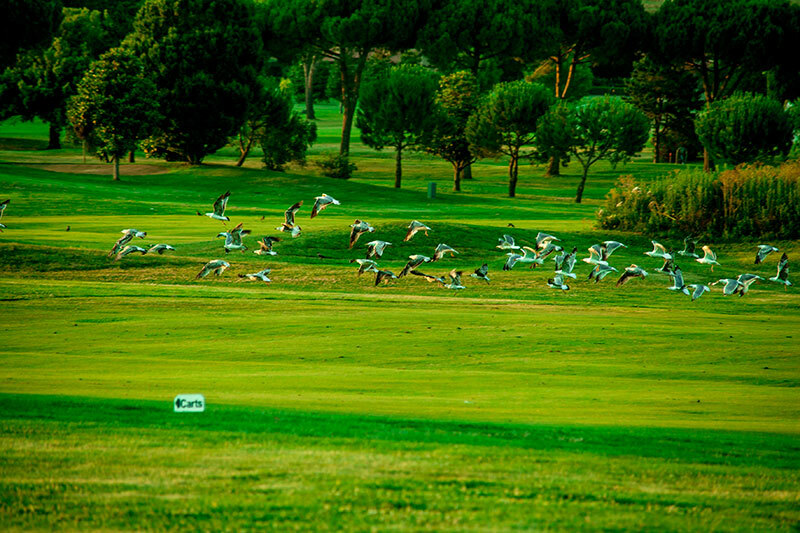 In this quiet countryside, where the sky is always wide and free and the climate generous, is the 78-hectare golf course designed by Robert Trent Jones, one of the most famous American course designers. 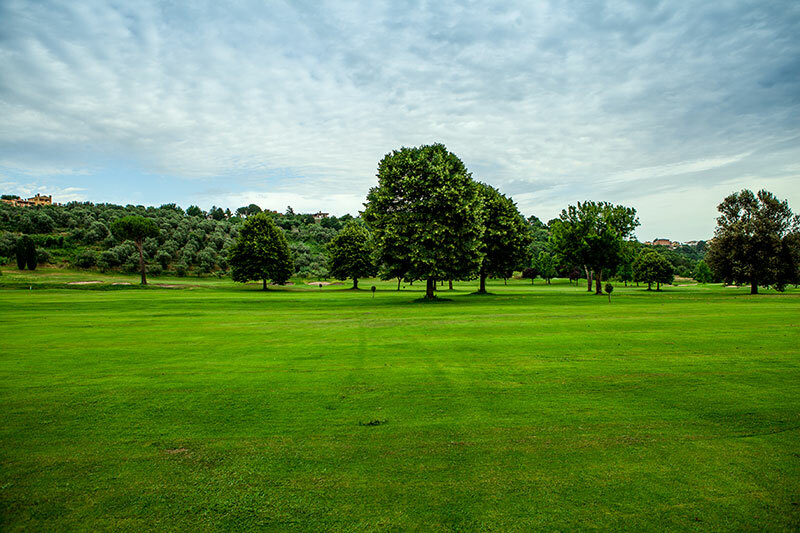 Making full use of the natural forms of the land at Castelgandolfo, he has succeeded in planning a course that is to be considered one of the best. 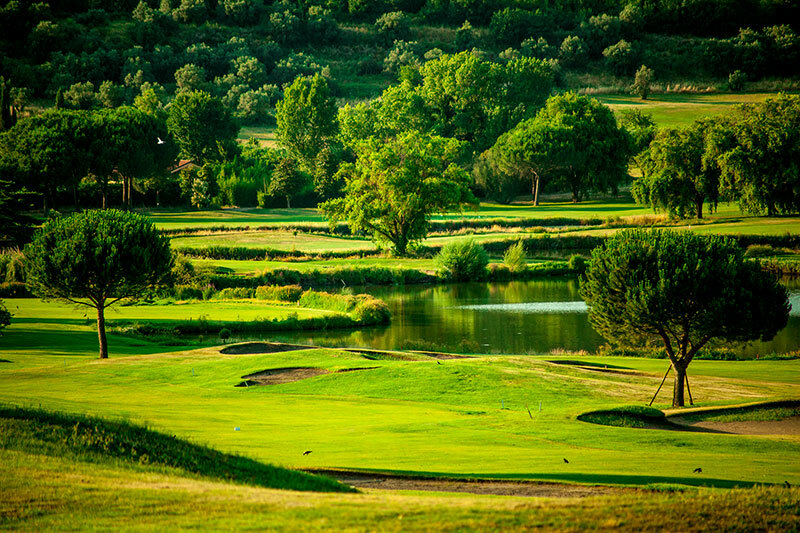 It is an 18-hole course, length about 5855 metres, on a gently rolling site, among olive trees, holm oaks and cluster pines, with three lakes affecting play on six holes. This little town is known for being the Pope's summer residence in a formerly volcanic region with a warm, balmy climate. It is importantly the site of Alba Longa which, according to legend, was founded by Aeneas and then opposed Rome in the fighting with the Horatii and the Curiatii. So this layout is ideal for head-to-head match-play, as thre is no shortage of traps spread around the course by Robert Trent Jones, especially a lake which comes into play most dangerously on serveral holes. 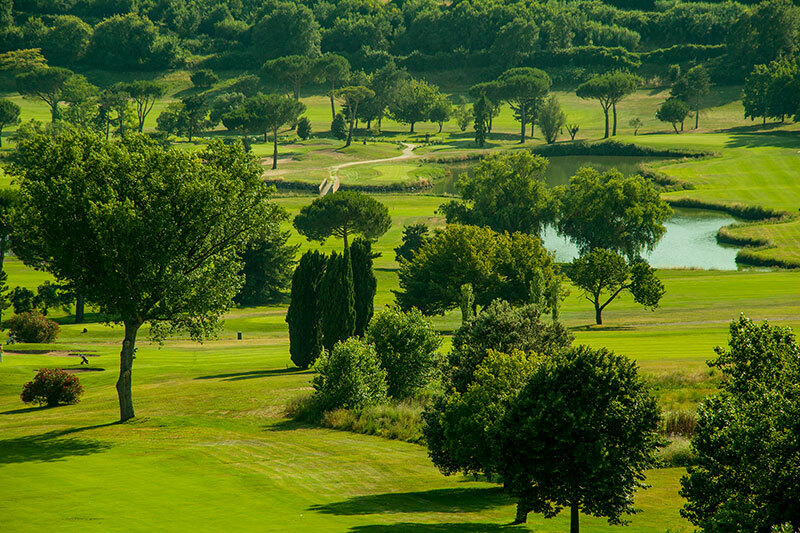 Otherwise, you find the usual bunkers and often hard-to-read greens favoured by the American architect in a landscape of maritime pines and olive trees, which temper the course and the sunshine, too. For relaxation after your round, the club-house is a real treat, a well-restored former 17th century patrician villa which overlooks the whole course.